Welcome back, Donist World denizens! For those of you new to our site, I’m Donist, and I am joined by Donist World CFO the Reverse Obie (my friends’ Boston terrier whose fur recently swapped colors) and by our marketing director / administrative assistant / party planner / doughnut inspector Tulip (my dog, Obie’s sister). As I’ve explained over the past couple FSoH/SitW posts, Obie, through his dabbling in arcane magics mixed with ancient corrupt business practices, has had not just the colors of his fur switched, but a complete overhaul of his work ethic as well. Today, I rolled into the Donist World corporate office (Mom’s basement) and found a delectable spread of bagels, doughnuts, and a couple of scones on display in the conference room (an adult-sized fort made with blankets with a card table in the center) as well as a freshly brewed pot of Pete’s coffee. I almost cried from joy. I love the old Obie, but the Reverse Obie is just so…so…so…thoughtful. <sigh> The old witch who lives in the swamp a mile down the road (we’re in a drought, so the swamp is currently dried out) gave me a charm to break the Reverse Obie’s curse (or is it a blessing? ), but I might hold off a little while longer before using it. Again, <sigh> Anyhow, pour yourself a cup of Joe, order in some tasty nachos (it is National Nacho Day after all), and settle in for this week’s post. Thank you for reading. Paper Girls #2 - Written by Brian K. Vaughan, illustrated by Cliff Chiang, colored by Matt Wilson, lettered and designed by Jared K. Fletcher, published by Image Comics. It’s 1988. Erin, KJ, Mac, and Tiffany have no clue as to what is going on in their paper route territory in Cleveland, OH. First there’s those ugly weirdos who dress up for Halloween all year round, then there’s the strange technology that keeps turning up, people keep disappearing, and now the scary things in the sky. Who knew working a paper route could be so dangerous? Yup, I’m loving this series. This was the first book I read from my new comics, and I hammered through it the fastest…I couldn’t put it down. Vaughan and Chiang, of course, drew me in wholeheartedly within a few pages of the first issue (I talk about it here), and I’m still fully on board after reading this great followup issue. I love every gorgeous page of beautiful art, words, and character moments, even though we know about as much of what is going on in the girls’ town as we did last issue…which means very little. But that’s cool. We don’t need to have answers for everything yet — I’m certain they’ll eventually come. What’s more important than being spoon-fed answers with this Donist World Darling of a comic is that we learn more about the girls: who they are, where they come from, how they deal with adversity. This month, we get a quick peek into Mac, in addition to all the craziness and peculiarities rocking the girls’ world. Again, I loved it. Holy treacherous paper routes, Denizens! I kind of freaked over the guy’s colors on the first issue, but this month he manages to top what came before. The majority of the issue is in a blue and pink / purple analogous color scheme that perfectly captures the bizarre nature of what is happening in sleepy Cleveland. The girls’ skin tones reflect the eerie lighting throughout, up until the end at Mac’s house, where everything shifts to a more complementary scheme of blues and yellows. As I previously said, this comic series would be a success as a black and white — no questions about that — but when you add Wilson’s colors, it becomes something quite heavenly. You need to be reading this comic. No superheroes. Only paper girls fighting to stay alive in this thrilling sci-fi adventure tale that is as nerve-wracking as it is fun. I’m intentionally keeping things as spoiler-free as possible, but as I mentioned above, I know next to nothing as to what is actually going on; I wouldn’t have it any other way. If you opted to not pick up this fantastic series, then you totally messed up, son. Sorry, but it’s the cold, hard truth. But there is hope. If you count your earnings, hop on your bike, and head down to your LCS and hope they still have a copy of what looks to be a great ride…after you deliver your papers, of course. VERY HIGHLY RECOMMENDED! 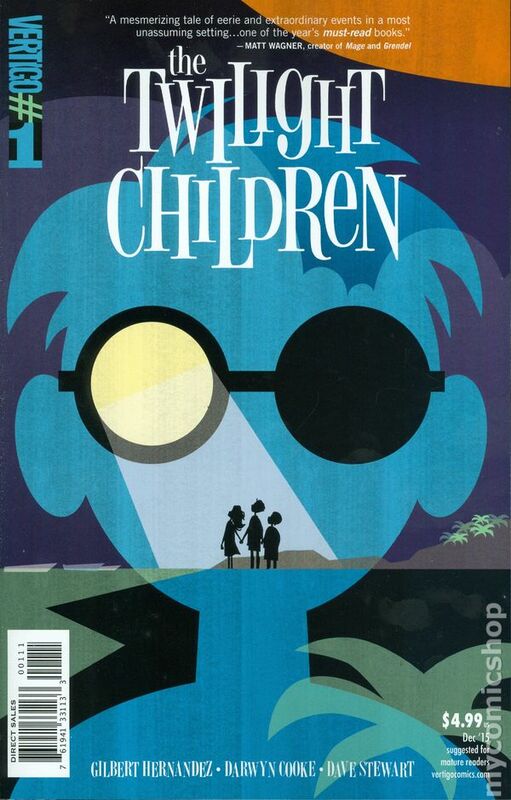 The Twilight Children #1 - Written by Gilbert Hernandez, illustrated and lettered by Darwyn Cooke, colored by Dave Stewart, published by Vertigo Comics, a DC Comics imprint. In a seaside Latin American village, mysterious glowing spheres occasionally appear, causing a stir, before vanishing when no one is looking. Life goes on. People fish, spouses cheat, children play, and the spheres come and go without incident…until now. Simmer down, Denizens. I am well aware the first installment in this four-issue limited series came out a couple weeks ago, but I missed it when it was initially released. Thankfully, LCS done did me a solid by getting me a copy. LOVE! The Twilight Children starts quickly, immersing the reader in the life of the village as if we had been living there all along. Hernandez doesn’t provide lengthy monologues or captions to tell us who is who, or about the town’s past, but rather he lets Cooke show us moments of fishing, and kids playing on the rocks in an effort to keep themselves entertained as the town drunk provides words of warning, and the awkward, disappointing glances between a man and woman as they navigate an affair. It’s a lovely snapshot of a simpler time, where life moves more slowly than in the big city. It’s all rather normal…until the appearance of the spheres. Again, I am loving a comic that leaves me just as confused as the characters as to what is going on, and even without the compelling mystery of the glowing orbs, the setting and the slow build of the characters make me excited for the next issue. Of course, it doesn’t hurt to have some powerhouse creators on the comic providing beauty through the perfect melding of the written word and imagery. Plus, Cooke’s characters are always lovely, but Tito…dang, Denizens, she is beautiful to the extreme. This is a great comic through and through except for a couple of factors that really rubbed me the wrong way that I must mention. First of all, my problems have nothing to do with the creators or the tale they tell, but rather with Big Two business practices. First, a $4.99 price point is ridiculous for a 30-page comic filled with flow-crushing ads that completely pulled me out of the experience with every single irritating interruption. Plus, if you are trying to revitalize the once-great Vertigo Comics line, a work of this caliber is a great way to go, and the heavier card stock of the cover is much appreciated, but placing the burden of the extra cost onto those you are trying to lure back to the line, makes little sense. 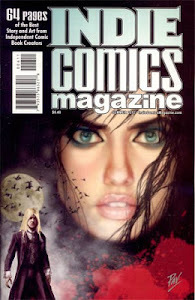 Unfortunately, I missed out on Image’s Monstress, which is also priced at $4.99, but it is sixty-six pages long, and I’ll bet you a doughnut that all ads (if any) are at the back of the book, so you can start the story and stay in it through to the end. Yes, I realize DC is a business, and ads can allow fewer sales, but an ad for The Colonel of Two Worlds?! C’mon! But, again, my gripes have nothing to do with the actual comic, which I simply adore. So, yes, The Twilight Children is a fantastic comic, but given the steep price, and the wealth of ads scourging the pages, I am strongly considering waiting for a trade collecting the whole series. The trade will most likely cost less than the retail price of the next three issues and without the ever-annoying ads. Again, I must emphasize that the comic itself is set to be something special and is worthy of your time…provided you can get past the unfortunate interruptions. 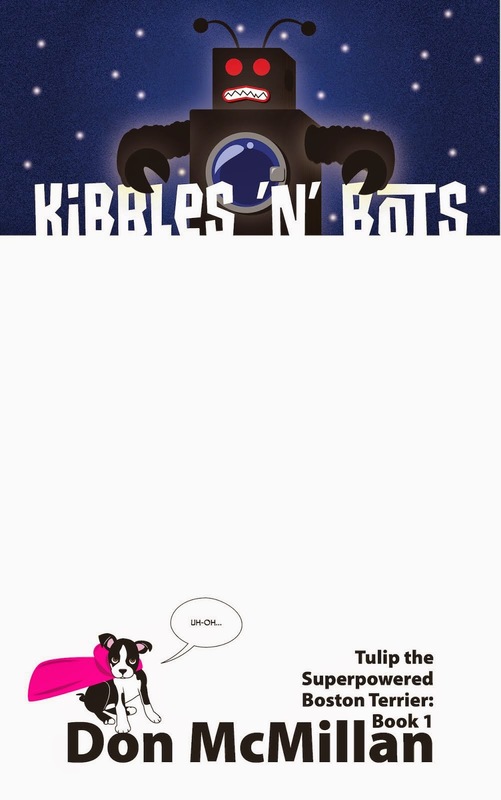 Without the ads, this comic is VERY HIGHLY RECOMMENDED! Lazarus #20 - Written by Greg Rucka, illustrated and inked by Michael Lark, ink assists by Tyler Boss, colored by Santi Arcas, lettered by Jodi Wynne, designed by Eric Trautmann, edited by David Brothers, published by Image Comics. The Family Carlyle’s war against the Family Hock has not been going well. Forever and her small team have been separated and are vastly outnumbered, as Johanna makes her move. The war between the families seems like it has been going on for longer than it actually has. This is not a complaint. The depiction of war in Rucka and Lark’s world is actually quite interesting: the weaponry, the technology, uniforms, and tactics. 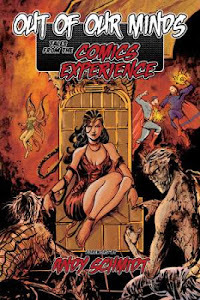 That said, I am excited for the conclusion to arrive, and hope to see more of Forever, Sonja, and Marisol together, as well as revisit some of the other Lazari. The action towards the end of this issue is tense, as are the power plays going on back home with Johanna, and Lark continues to deliver some great character acting and storytelling. Lazarus is a fantastic and engaging post-apocalyptic, sci-fi tale that tends to unnerve me for days after reading each issue. Of course the comic is not true, but the world the creators have crafted provides a stark look at where humanity might very well be headed, which is terrifying to say the least. If you have not been reading Lazarus, and you are cool with a heavy comic with little-to-no comedic moments to alleviate the tension, then this Donist World Darling is for you. You can catch up through the trades, or through the hardcover (a second volume is coming soon), and see just why so many comic fans are loving this tremendous series. HIGHLY RECOMMENDED! Black Science #17 - Written by Rick Remender, illustrated by Matteo Scalera, colored by Moreno Dinisio, lettered by Rus Wooton, edited by Sebastian Girner, published by Image Comics. Three years have passed since Grant McKay’s latest and most devastating incident involving the pillar. Alone, save for a newfound companion (who’s not the best of conversationalists), McKay strives to reunite with his friends and family. Unfortunately, not all is well with our favorite anarchist scientist. The break between story arcs was particularly rough on this last go, but Black Science is finally back; what a way to start! We’ve grown accustomed to the usual seat-of-your-pants roller coaster ride storytelling, but with this new beginning, the frenetic pacing has been slowed to allow us time to embrace McKay’s latest predicament. We arrive late — three years late — to see what McKay has been up to, the friend he has made, and the possible health concerns afflicting him. In so doing we experience the the new world on which he is stranded and Scalera gives us some amazing new creature / character / costume designs, as well as some gorgeous backgrounds brought to life through Dinisio’s lovely colors. This is yet another gorgeous issue. After the void left following the spectacular end of Fear Agent (another must-read Remender sci-fi epic), it is refreshing to have an equally thrilling book to fill that gap. Black Science is a tense, fun, dramatic adventure comic with great, flawed characters and an abundance of weirdness that harkens back to the best sci-fi peculiarities of the ’70s and ’80s. If you need to catch up, then you can easily do so with the three available trades, or better yet, wait until the over-sized hardcover collecting issues 1–16 releases in December. I’m glad the wait for the latest chapter is over, but now I’m even more thrilled that I have no idea of where we are headed…especially given the cliffhanger final panel. So, fasten your seat belts, Denizens, things are about to go into hyperspace. HIGHLY RECOMMENDED! Out of Time, Lots to Do, Stressed - Gonna keep it positive other than to say, “Who woulda thought being unemployed was so dang time consuming.” Job hunts, interviews, finishing two classes, a Paper Show, writing, caring for Tulip, minding the house and chores…dang…just, dang. For Pete’s sake (who the hell is this Pete character anyways? ), I still have a couple of comics to read. Best not to over-think things. Focus, Donist. Trudge ever forward.